GeoStream UK has started a complex programme of ex-situ and in-situ hydrocarbon remediation in Leamington Spa. The 5ha site possesses multiple sources of contamination, including diesels, lubrication oils and solvents. Over the coming 12 weeks, GeoStream will execute a programme of excavation, extracting grossly contaminated soils that will be remediated above ground by bioremediation. Using GeoStream plant and resources, the strategic bioremediation process involves releasing naturally occurring micro-organisms to consume hydrocarbons. Onsite Bioremediation is typically only 25% of the cost of hazardous waste disposal to landfill, and reduces HGV moments off site. 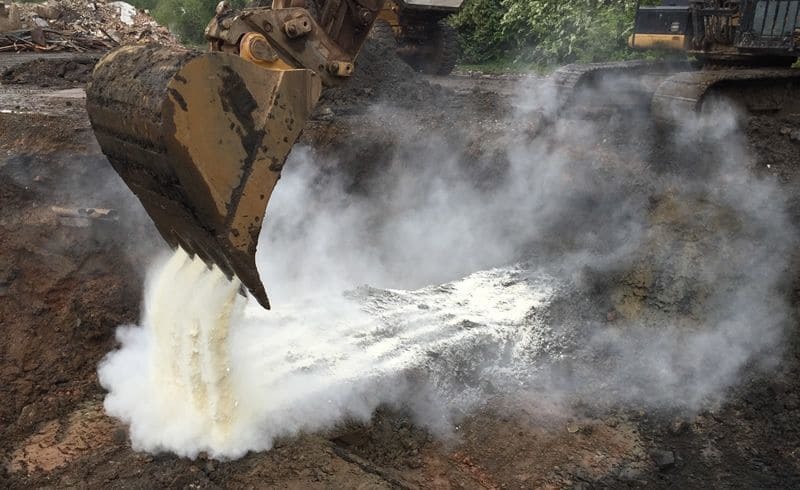 In areas where the water table is high, GeoStream UK is using exclusive oxidant mix, Oxygen BioChem (OBC)TM, to promote chemical oxidation and aerobic bioremediation of petroleum compounds. OBC is a mixture of oxidants for short-term in situ chemical oxidation (ISCO) and provides electron acceptors for longer-term biological oxidation. GeoStream UK is the sole supplier of this product in the UK. GeoStream offers an extensive range of remediation technologies, enabling it to provide the optimum combination for efficient, effective remediation.